As urban commutes are getting longer, large companies are seeing sense in making their employees work from a co-working space near their homes. Co-working spaces are not just habitats for startups but also fast becoming workplaces for large, established companies. “Work near home” is the new mantra for established companies who are picking up space in co-working spaces. As urban commutes are getting longer, large companies are seeing sense in making their employees work from a co-working space near their homes. Co-working spaces like CoWrks, InstaOffice, 91springboard, Awfis finds that upto 40-50% of the spaces is occupied by SMEs and corporates these days. “When you enter a corporate office, you will easily find more than 50% of the space is vacant and the remaining is either under or over utilized. Also, the teams in corporates are gradually getting smaller and more collaborative which is one of the reasons why co-working spaces are becoming preferable,” says Vikas Lakhani, Co-Founder of co-working space startup InstaOffice. Companies like GE, Dr Reddy, Accenture, Digital Ocean, FICCI, ReNew power, Paypal are opting for such services, say co-working companies. Apart from these, foreign companies who are looking to foray and set up a base in the Indian market are also renting out these spaces. 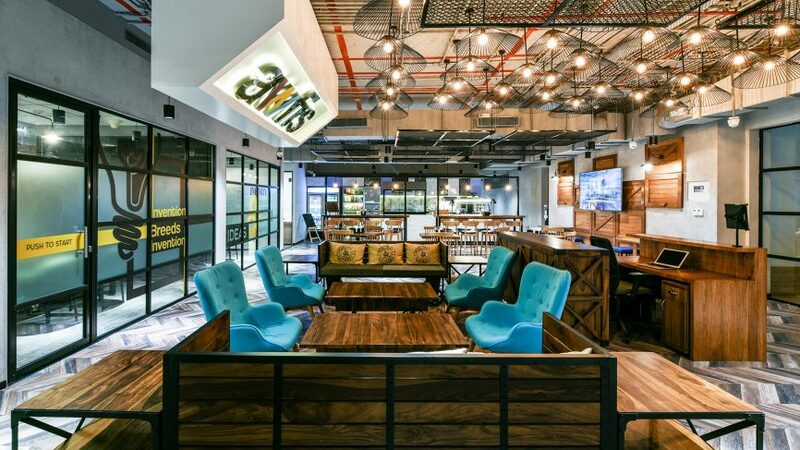 Amit Ramani, founder of Awfis, says, “Our branch locations render a flexibility to the employees and allows them to work near their homes which saves a lot of time and adds productivity.” He further adds that well-designed spaces along with all the amenities like conference rooms, dedicated desks, posh locations at reasonable costs also help them to minimise their operating expense. 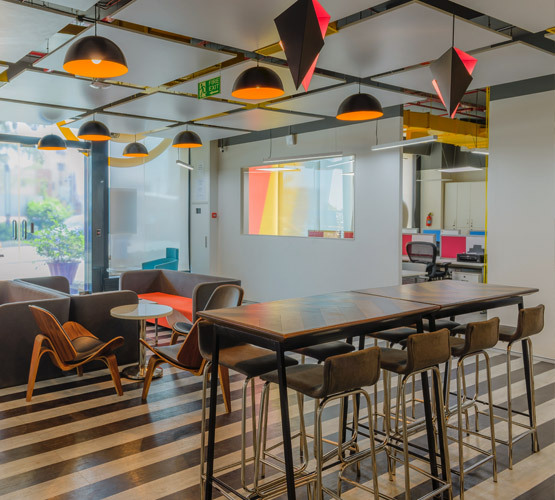 On the other hand, Accenture rented out a dedicated space in Awfis’ Bengaluru centre to seat its Redcore team for around 6 months until they were moved to Accenture’s premises. The IT company had acquired the Australian security company Redcore last year. Accenture declined to further comment on it. Along with corporates and SMEs, freelancers are also largely working out of these spaces. Networking primarily is a major benefit for them and as corporates as well as SMEs and startups tend to outsource which brings immediate opportunities for the freelancers. Moreover, even late-stage startups like CarDekho, Paytm, OLX, MakeMyTrip continues to work from these spaces as they find it cost-effective and engagement, collaboration, access to venture capitalists help in adding value.